Aside from the Pork Belly which wasn't really "pulled," I say the other fitted the description quite well. 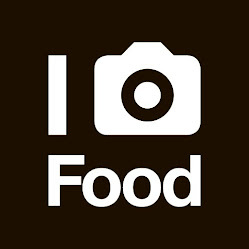 There is a certain charm or simple attraction to how bite-size food items can make a meal ... fun! 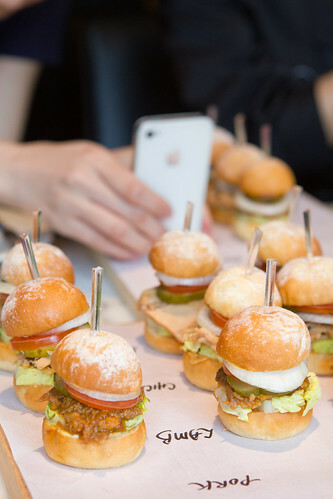 Seeing dozens of mini burgers being served at once made things even more interesting! Which one should I pick, which one should I eat first or in our case, which one to photography first??? 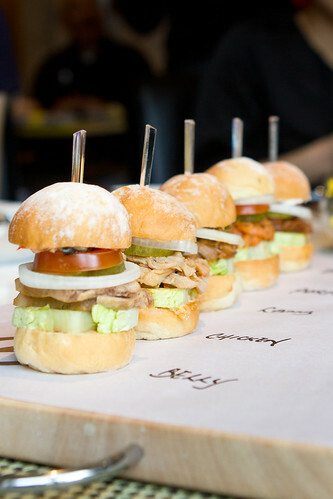 Out of the 5, I have to say I like the Pork, followed by Lamb, Beef, Chicken then Pork Belly. The richness of the BBQ sauce and the pork flavors made it quite memorable to my taste buds. The same applied for the Lamb but the subtle-ness of the Bone Mallow Mayo was slightly disappointing as in I expected a stronger flavors. 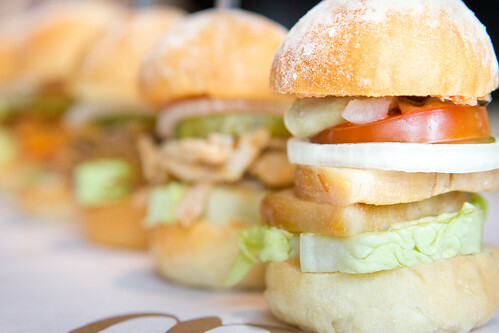 Perhaps it was the proportion of the mayo with the size of the mini burgers which made it barely noticeable. So which one of the five would you like to try right away? I expect the cast my vote soon ... are you ready to do so for HKD88? 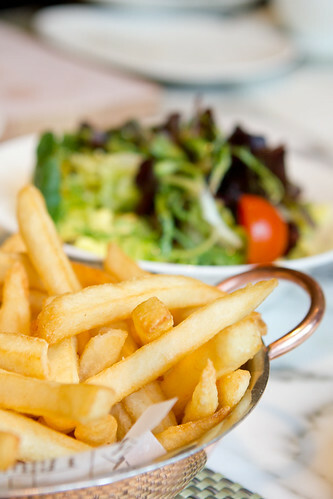 Oh do order yourself a full order of fries to go along with the burgers! Thanks Mandarin Oriental for the lovely invitation. 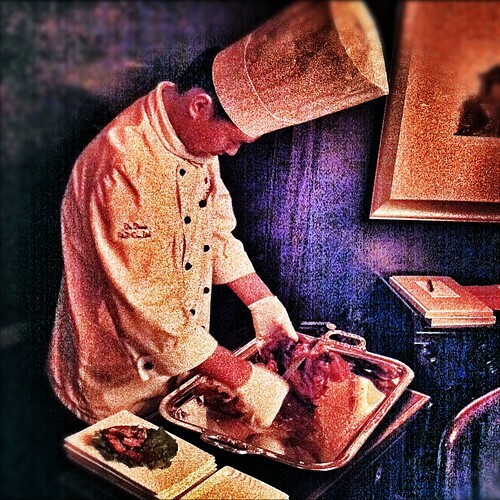 Oh one more thing ... did you know that Beijing's Da Dong famous for its Roast Duck is coming back to town and will be hosted at the Man Wah @ Mandarin Oriental Hong Kong. I was lucky enough to be invited for a preview and aside from the famed Roast Duck, they are offering other signature dishes different from their last visit to Hong Kong. 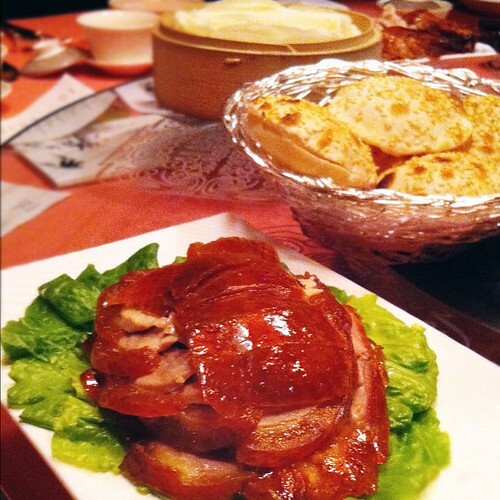 Mark your calendars, 14-22 April 2012, Roast Duck @ Man Wah! Wow! can't believe pulled pork has made it to HK!! 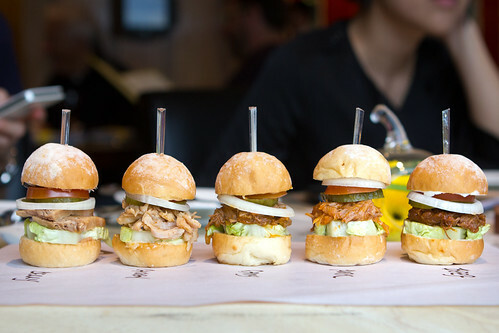 We've got a pulled pork burger stall in London but are taking a year out to gather some more food ideas...in HK for 3 months and really want to experience the foodie scene here.